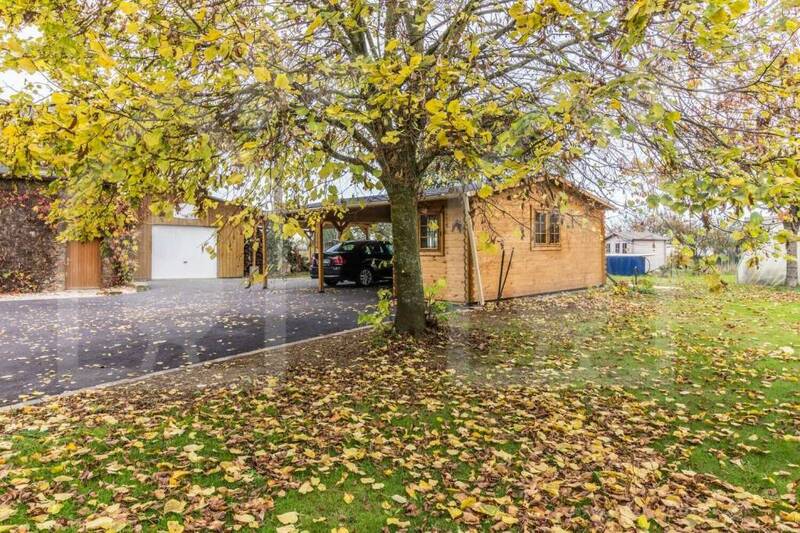 If you are in the market for a carport, it can be a confusing world out there! The different models, shapes, and colors are enough to decide! However, the material you choose for your building is the most important decision you will make. You can pick steel, aluminum, wood, or a combination. 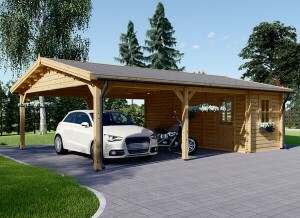 Many people opt for a carport made of wood, and who can blame them! Nonetheless, you must read this first if you are thinking of installing one. Even though wooden carports have many pros, there are also quite a few cons you should take into consideration. The following is a list of advantages and disadvantages to think about before you dive into the world of wooden carports. It is true. Wood has an undeniably classical look. The other options, aluminum and steel, have their own pros and cons. However, they cannot boast the aesthetic appeal of wood. Instead, they just look out of place. Seeing such an industrial looking building outside of a home is strange. However, if you own a log cabin or other timber home, a carport made of the same material looks fantastic. Even if your home is brick or shingled, building a wooden carport adds a new dimension. They basically blend in with any kind of home in any length of yard. There are a variety of unique, fun designs that will have everyone on the block checking out your new car protection. Another great thing about building with wood is its extreme versatility. Wooden carports can be made in many different sizes, shapes, and colors. There are so many different types of material you can use to construct this type of carport. However, pine, spruce, fir, and other kinds of timber offer their own pros and cons. Be sure to do your research well beforehand to decide what type is best for your climate and building perimeters. Not only do you have the power to choose your own type of wood, there are a variety of designs you can choose from. Some companies and online sources offer exquisite carport blueprints for a cost. Before buying, run it by your chosen subcontractor first just to be sure. Although you hope to hire someone good enough to build anything, many subcontracting crews are used to constructing basic designs. Even the roof of your structure can be extremely versatile. Anything from A-frame to gentle slopes, or flat to domed. Although a flat roof is the easiest to build, we do not recommend it. Unfortunately, flat roofs have a greater tendency to leak. The lack of a slope causes the rain and snow to gather on top, eventually causing damage if not properly cared for. 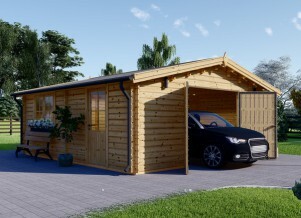 Additionally, you can buy timber in a variety of sizes to fit your specific carport needs. Do you want something big enough to cover an RV? How about something small enough to protect just your motorbike? Maybe you have 3 or 4 cars that need protecting. Whatever your needs, you can guarantee there will be wood to meet them! If you tend to get bored after a few years, don’t worry. Simply paint it or re-stain the timber another color! As we said, wood is a very versatile material. If you don’t already know, wood is an extremely strong and durable material. Timber structures that were constructed hundreds of years ago still stand in certain parts of the world. In fact, if you take good care of yours there is a good chance it will survive you! Not only are carports made of wood a long-lasting material when taken care of. They are also going to stay strong in some of the worst weather conditions. 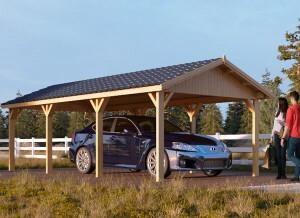 While lighter carports run the risk of blowing away, wood stands sturdy against the wind. If a branch falls, what better material to protect your car than what the branch is made of? As opposed to aluminum or steel, wood does not get dented or dinged by your car door. If you are like most people, you don’t enjoy routine maintenance. It’s not as though you don’t care, but it seems to get harder to care each year. 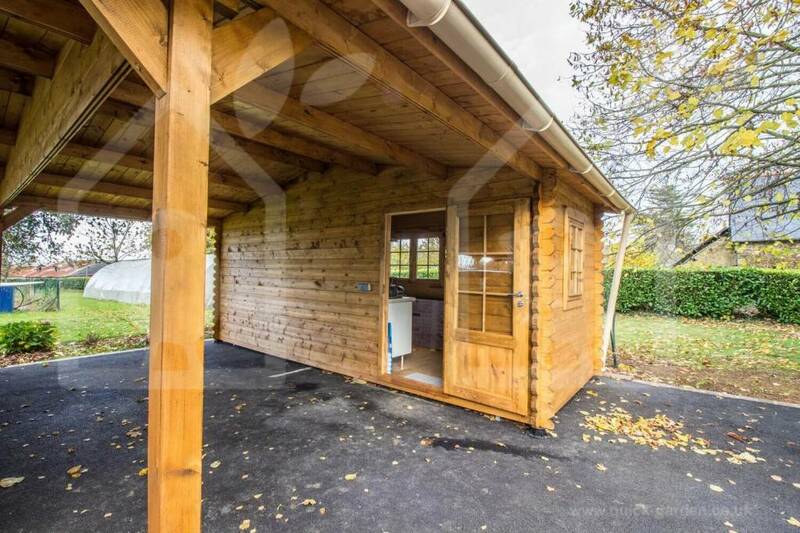 Although vanity is as good a reason as any for routine wooden carport maintenance, it usually isn’t enough to motivate. 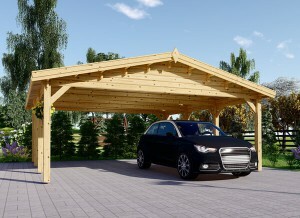 We think someone like this should think twice about purchasing a carport made of wood. That is how important it is to keep your wooden building in tip-top shape! But why is it so important? Usually twice a year is enough to suffice, but there are quite a few things that need to be done to preserve your structure. Here is a quick rundown so you can see if timber is right for you. Each Spring and Fall, it is important to clean the carport out. Most people don’t keep a lot of random things inside, so this is usually no big deal. After everything is out, it is time to look for holes or cracks. If you find some, this presents a separate task of filling them in with caulk. Next, don’t forget to look on the roof. Many times you will need to clear off debris before you check for potential leakage. 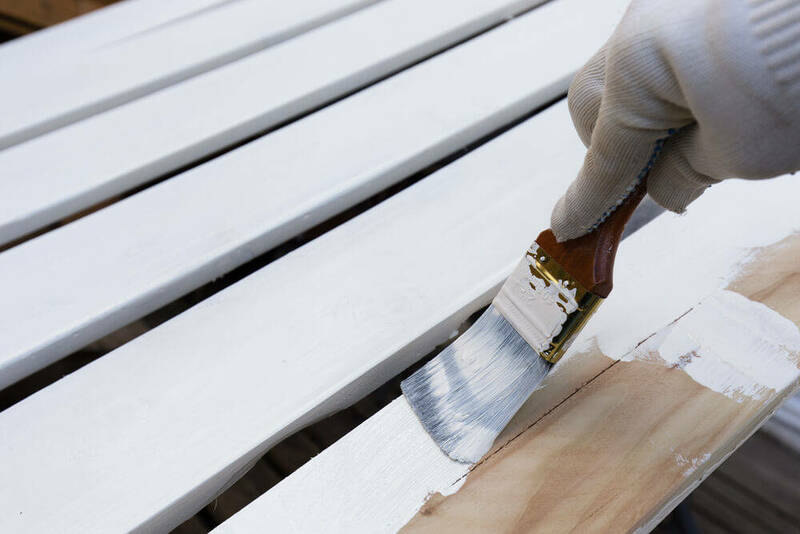 If it has been a couple of years, you should re-paint or re-stain your wooden carport. Afterward, you will need to apply a seal to keep wind, water, and bug damage at bay. Even if you are just applying the seal, it still needs to be done every couple of years. Finally, it is necessary to keep all plant life away from the bottom building. Fauna of any kind exposes the wood to an excessive amount of moisture. Wooden Carport: What’s the Verdict? Overall, wooden carports have much more pros than cons. Aesthetics, versatility, strength and durability are nothing to scoff at. However, stay away from this material if you hate cleaning. It may look better for a few years, but without maintenance wood looses its advantages.